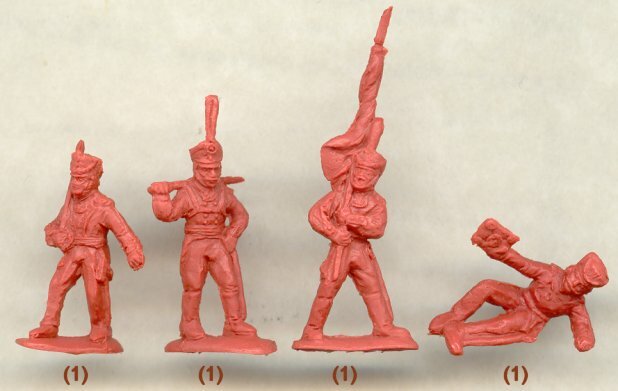 Another whopper of a set from Strelets, and this time the subject is generals and officers of both Russian and Prussian armies during the Napoleonic Wars. With no less than 44 unique poses this was always going to be an ambitious set that would cover its subject in great depth, and on the whole it did not disappoint. Most of the figures are standing around watching events, which is pretty much what senior officers like these did, so the poses are OK. Some of the lower ranks are more animated, with the best being the wounded general being evacuated. However we also liked the running officer who is drawing his sword at the same time, and the shouting officer is a really nice idea and a very common site on the battlefield. Uniform was often anything but as senior officers adopted their own styles of dress and decoration. However in general these all look correct, given that they are not tied down to one specific year of the Napoleonic wars. Some wear uniforms appropriate to their unit. Thus Platov and Orlov-Denisov are in Cossack dress and Depreradovich is in that of a cuirassier, but some we could not explain, such as why Gneisenau is in hussar costume. This is the best sculpting we have seen so far from Strelets. A noticeable improvement of their previous output, the detail is nice and clear and the figures slender and well proportioned. An area particularly worthy of note is the faces, with a fair attempt at depicting the actual man where appropriate, and some really good facial expressions achieved. The pointing officer is an excellent example of this, with an expression of determination that underlines what he is saying. However there are still some small problems with sculpting, particularly with some arms. The first and fourth figures in row 8 both suffer from shortened arms, with the left and right respectively being stunted and having little distance between shoulder and elbow. Also, where a man has his bicorn pointing 'fore and aft', i.e. directly in front of him (figure 2, row 8), the hat has been made to sit very high on his head, which does not look good. However, the overall impression is pretty positive. Strelets have always said they would work to improve the quality of their sets, and it is good to see that improvement coming through. Command sets are becoming increasingly popular, and companies that make each figure as a different pose are ideally suited to this kind of product. 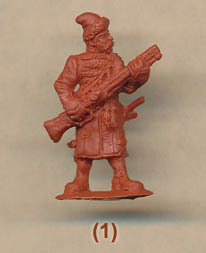 This is a fine effort and will be a useful addition to any Russian or Prussian Napoleonic army.